Having traveled the path marked “Food as Medicine” for several years now, it’s hard to get me excited about a new Paleo cookbook. My bookshelves are maxed out with cookbooks. I don’t have the shelf space to get excited about good Paleo cookbooks. I only get excited about the great ones. And this one is really great. Yes, I am feeling better. Not well. Just better. Yes, I still have flare days. Yes, I am still eating a 100% Paleo diet. I never cheat. Ever. Yes, I still follow the Autoimmune Protocol (AIP) modifications about 95% of the time. Sometimes, a girl needs a slice of Paleo birthday cake. 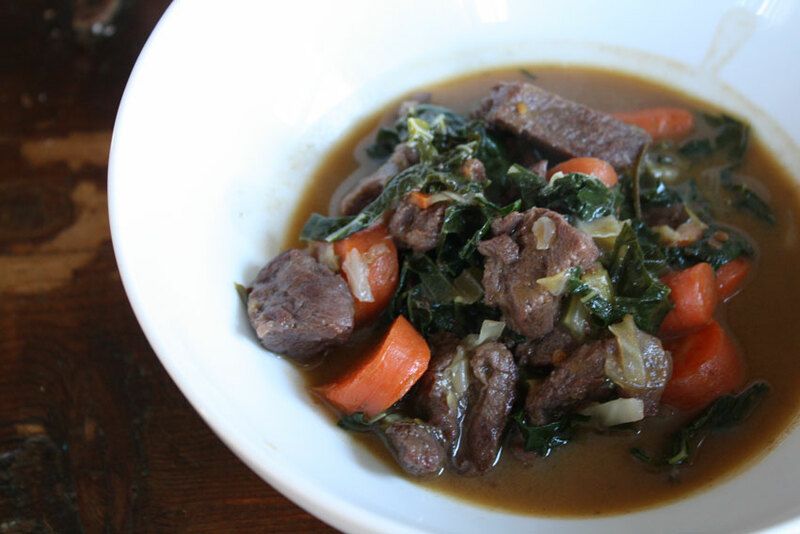 I also have added in modifications for a low-FODMAP diet. Sticking to it really helps me feel better, but it’s difficult to follow the AIP restrictions and the low-FODMAP restrictions. I do the best I can. And the best thing to happen to my healing journey is finding a personal chef who plans my meals, does the grocery shopping and cooking, cleans up after herself, and then comes back to do it all again next week. Expensive? Yes. Totally worth it when I have 6 other people to cook for? Absolutely. Now, back to the cookbook. I wasn’t acquainted with Alaena Haber (but glad I am now! ), but immediately recognized Sarah Ballantyne’s photo on the cover. I’ve been visiting her blog since she was doing little hand-drawn stick figures for illustrations (they were adorable, by the way). 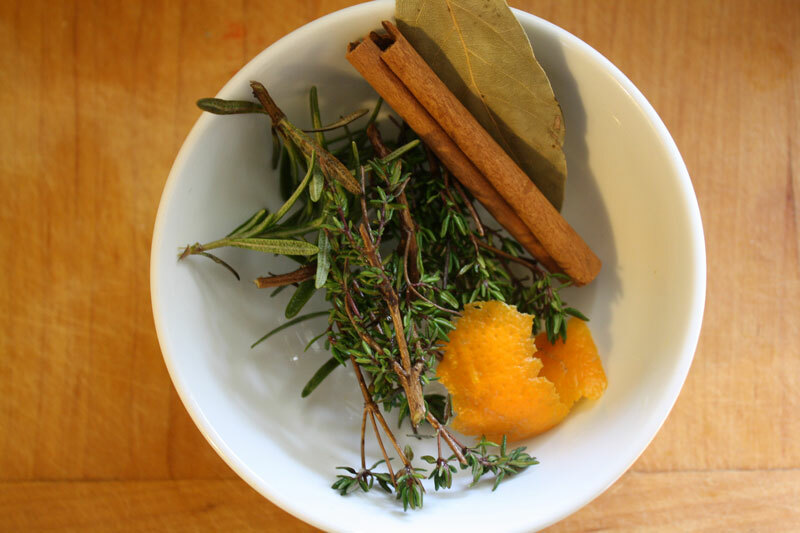 The book they’ve collaborated on, The Healing Kitchen, is nothing short of amazing. As anyone who is chronically ill will tell you, it takes a lot of energy to feed yourself well. Usually, it takes more energy than that ill person actually has available. A person who’s body is broken needs the most nourishing food possible, and those foods are not found on the shelf at the grocery store or the fast-food drive-thru. They are neither quick nor easy. The ingredients have to be sourced, then acquired often with significant travel time involved. They need to be prepared, which requires a lot of chopping and standing. They take a long time to assemble and cook, so you have to plan ahead. Plus, they are expensive. For someone who is using all of their available resources just to make it through the day, these are often insurmountable obstacles. Alaena and Sarah are both experienced with using the AIP to heal chronic illness. They get you. They know how tired you are. They know how ill you are. They know how badly you want a salty, crunchy snack (see Garlic and Thyme Crackers on page 279). And they know how much you truly miss chocolate (see Hot Fudge and Ganache on page 298). Both of these ladies have been successful at conquering their respective illnesses through using the AIP. And in The Healing Kitchen they generously share the best of the best of their knowledge with you to help you be successful too. 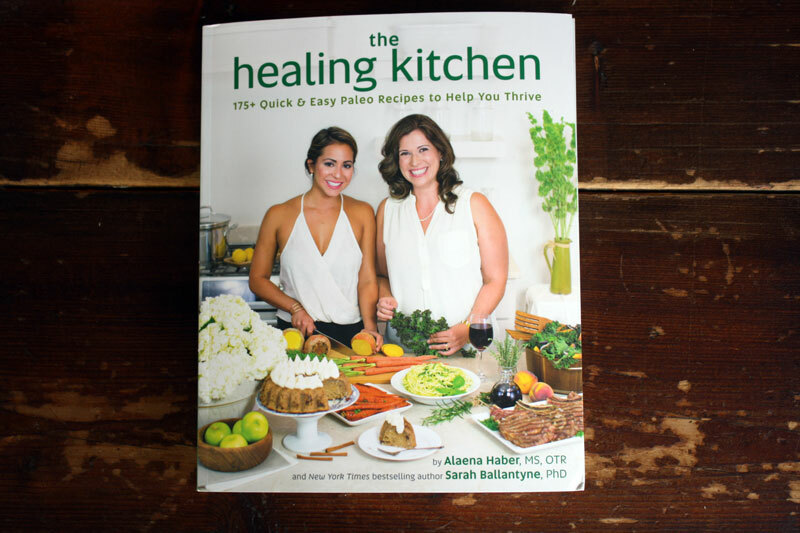 Amazingly, Sarah and Alaena managed to condense the main points of Sarah’s other book into just over 50 pages in the introduction of The Healing Kitchen. Sarah has a great knack for explaining “science-y things” to the rest of us, and explains exactly what a chronically ill person should be eating, and why. Everything is written with the newbie Paleo person in mind. There are food lists (“yes” lists, “no” lists, substitute ingredient lists, bargain food lists). There are instructions on restocking your kitchen with healing foods, eating on the go, and what to cook when you don’t have lots of time. Now, there are a lot of Paleo cookbooks that include these lists, but I haven’t found one with lists that follow the AIP. Practically all of the information Sarah and Alaena have laid out for you are things that I’ve figured out slowly, and sometimes painfully, one by one over the years. Here it is! All in one place! You lucky duck! 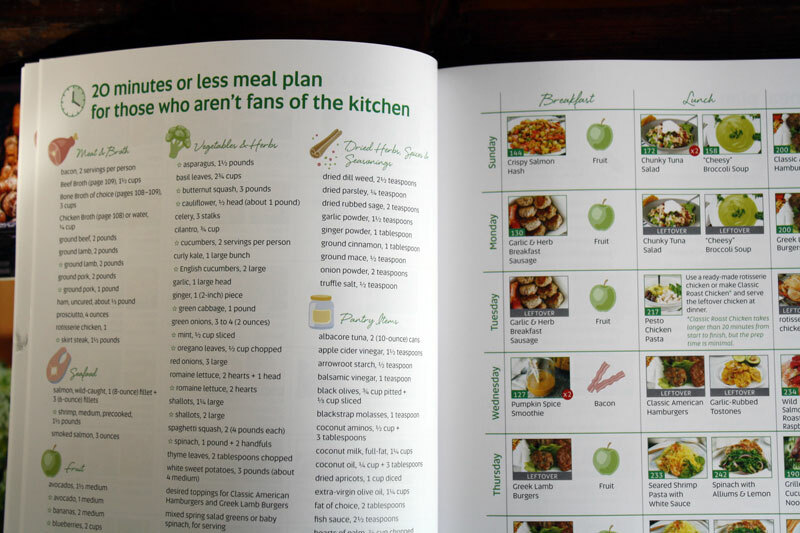 Probably my favorite part of The Healing Kitchen, is the meal plans. For years I’ve been wishing someone would put together AIP meal plans, because people who need the AIP do not have the energy to go putting together meal plans. Alaena and Sarah include 12 meal plans for just about any sort of cook–busy cooks, cooks who don’t like to clean up, cooks with kids to feed, even cooks who don’t like to cook. And I love, love, LOVE the two batch-cooking meal plans. Because with so many mouths to feed in my house, meals in the freezer are money in the bank. Are you excited yet? We haven’t even gotten to the recipes! 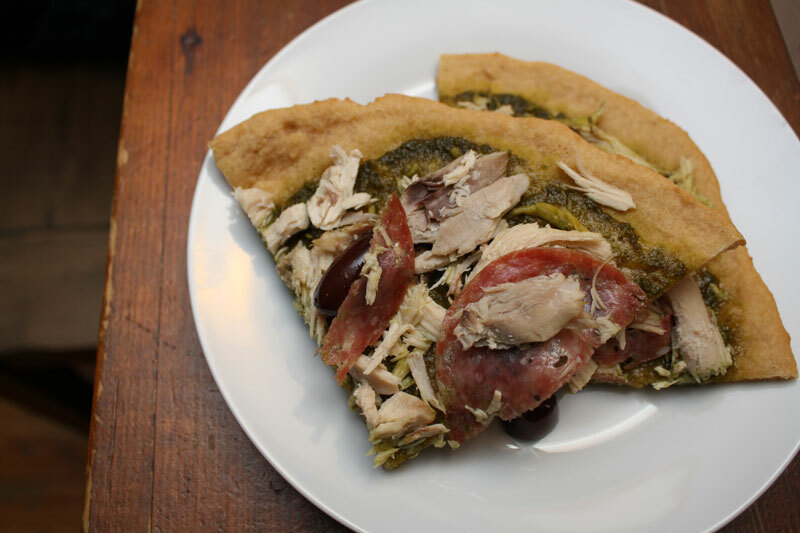 I love that Sarah and Alaena know that, while the best thing for ill people to eat is chicken livers, beef heart, and dandelion greens, what we actually want to eat is fried chicken and pizza. They have invented some truly delicious dishes using the best ingredients possible. And they have not left out fried chicken or pizza. I’ve had lots of time to try out a variety of recipes and all of them have been excellent. 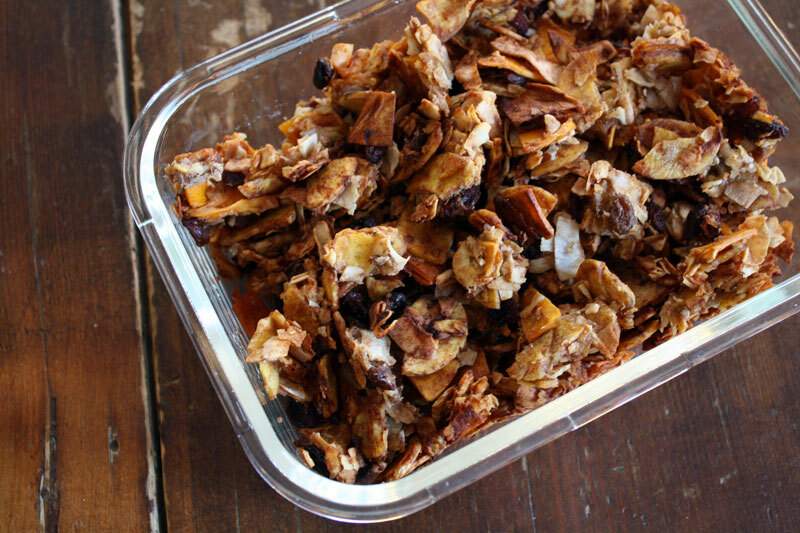 My favorite was this grain, nut, and seed free trail mix. With our household teetering on the edge of teenagers, we’re spending more and more time in the car. 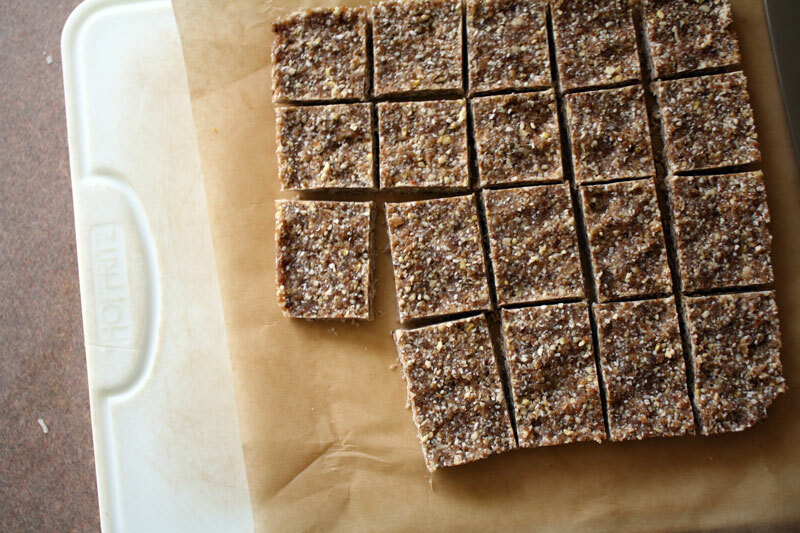 I’m always looking for portable food–snacks that are both nourishing and satisfying. This one is at the top of my list right now. * Review posts are my opinions on items that were sent to me free of charge. The items were given to me, but the thoughts and opinions are my own. I do not provide reviews of every item sent to me and only review items that I find to be truly worthy of recommendation.